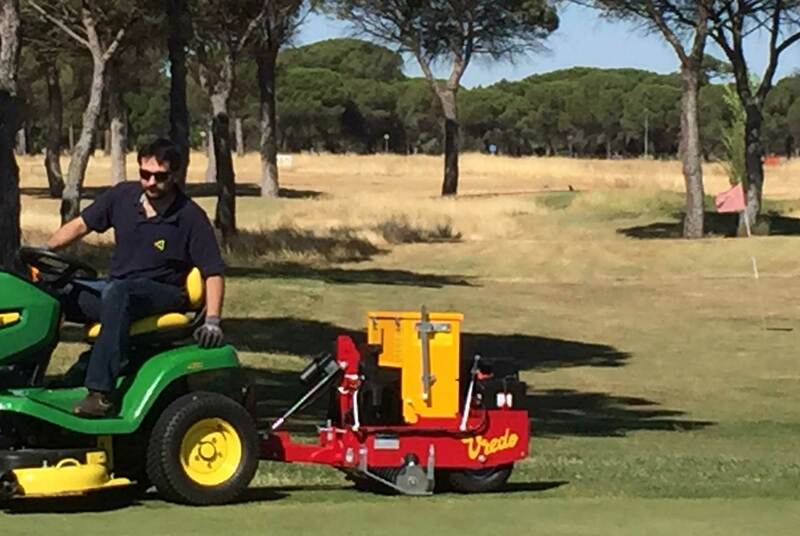 Compact, multi-function machine for seeding, dressing and aerating turf. 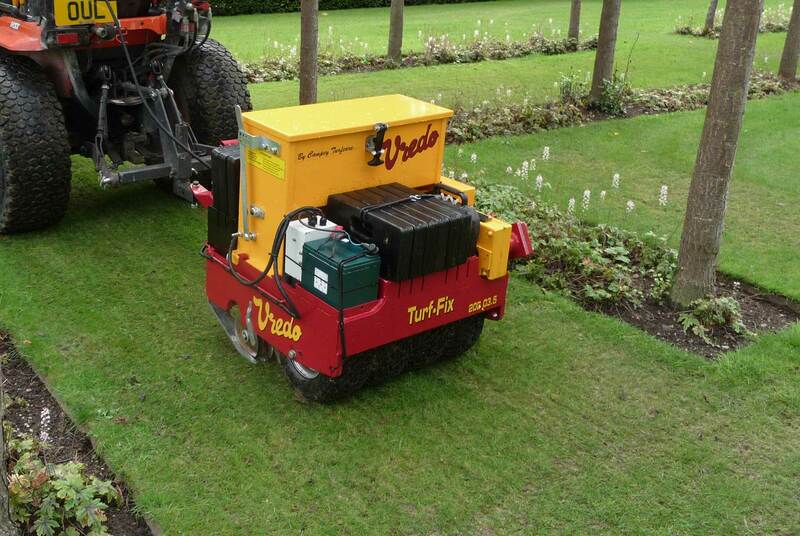 The Vredo Turf-Fix Series is a very compact, multi-function machine for professional landscapers, contractors and clubs, looking to carry out a number of renovation and maintenance tasks with just one machine. 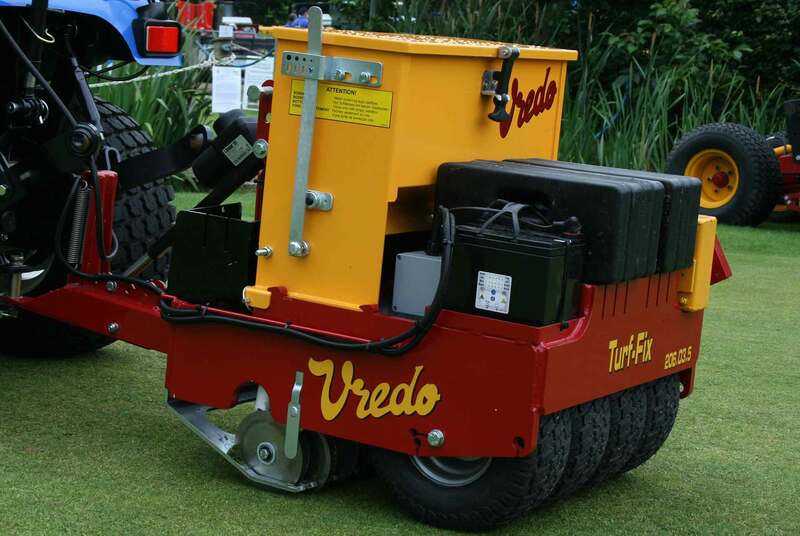 Mounted or Towed, the Turf-Fix can be used to overseed, apply sand dressing, sand slitting and aerate, simply by fixing different attachments to a universal base unit. Compatible with tractors as small as 16hp. Get a real sense of this machines capabilities in the environment it was built for, please take a moment to watch it in action. There are many more videos available of all our exclusive products on the Campey YouTube channel. Keep up to date with the very latest news from Campey Turf Care Systems and the turf care industry. Please sign up to our mailing list if you would like to receive occasional information about our products, events, demo days, new and used turf care machinery and services.